Sometimes, suburbs are the destination. 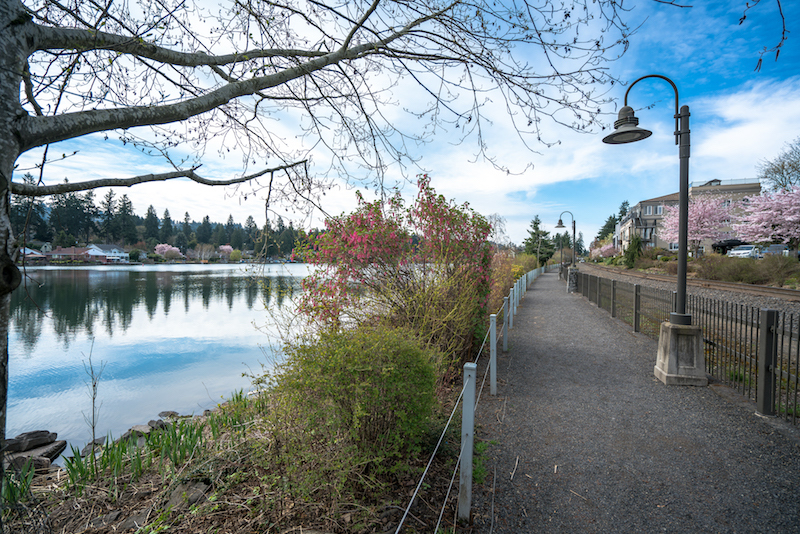 If you seek to escape the ever-increasing bustle of Portland but maintain high standards for shopping, dining and living, Lake Oswego is your spot. 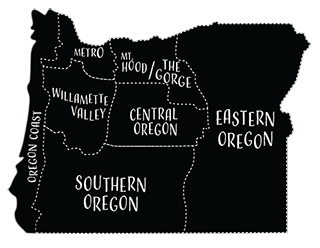 This well-heeled Portland suburb started as many small Oregon towns do—with an industry. But instead of lumber, Oswego, as it was known at the time, was an iron and steel town in the late 1800s. 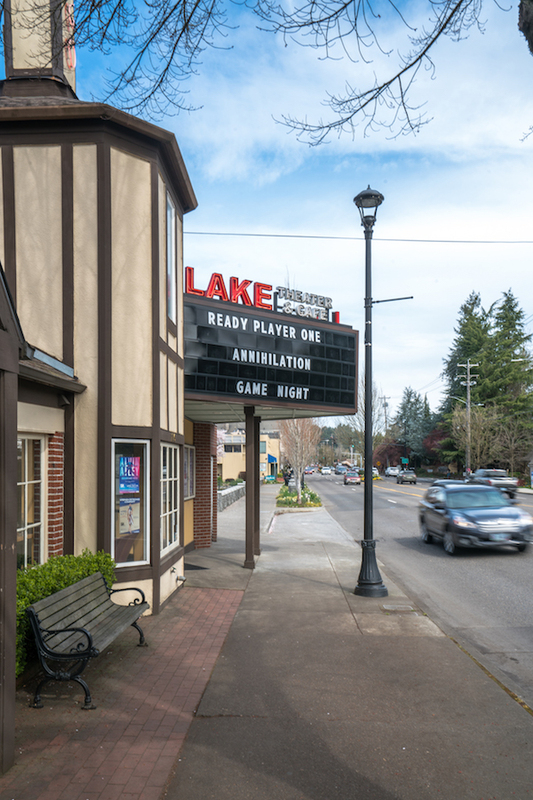 The boomtown had barber shops, general stores, even an opera house—a sign of things to come, as Lake Oswego today remains an arts-centric community. 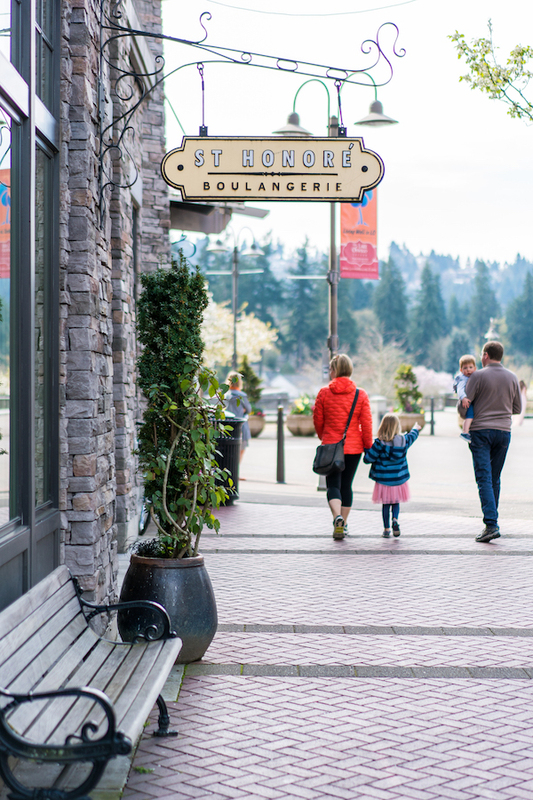 Starting in Lake Oswego’s charming downtown, grab some pastries and coffee at St. Honoré Boulangerie. You’ll feel temporarily transported to Paris with a cafe au lait and flaky croissant. Then it’s time to begin shopping in earnest. One of the great things about Lake Oswego is its many independent and small businesses. Around the corner from St. Honoré is Grapevine, an upscale boutique that sells all kinds of women’s fashions and can ensure you look the part while you’re visiting this ritzy enclave. A new, large-scale development just opened nearby on a city block bounded by First and Second streets and A Avenue and Evergreen Road, where a local grocery store once stood. The Windward, which abuts Millennium Plaza Park and has views of the lake, offers upscale apartments on the upper floors and retail on the bottom floor. Among the most hotly anticipated openings at the site were Salt & Straw, the famed Portland ice cream store, and Adorn, a Portland boutique that has opened a storefront here. Chuckie Pies, a locals spot for thin-crust pizza owned by the same people who run Chuck’s Place (another local favorite for breakfast and lunch), has also relocated to the development. Nearby is glassybaby, a store filled with handblown votive holders that doesn’t seem like it should be so compelling. 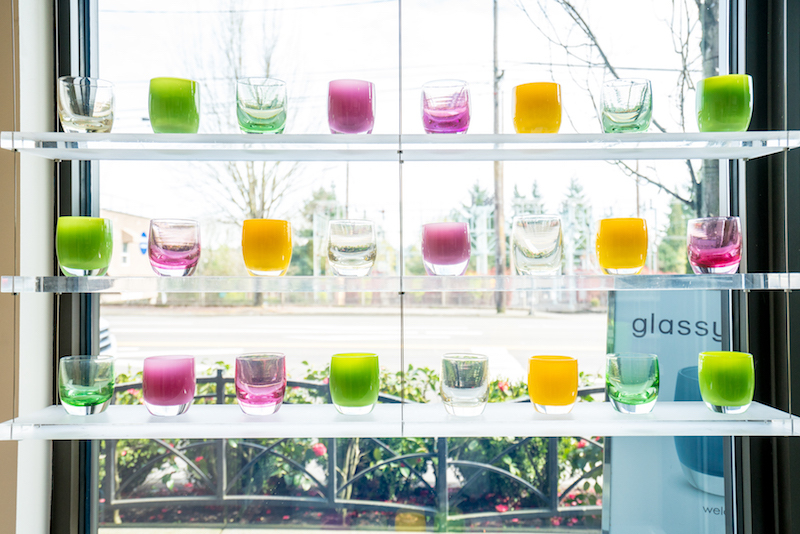 Yet the shop, the company’s only Oregon location, beckons—it’s easy to let an hour slip away lighting the votives to see what type of light the glass produces. Up State Street a bit, swing through pig’ments, an adorable boutique in an unassuming strip mall. The boutique sells a nice mix of clothing, home décor and lighthearted treats like chocolate bars whose wrappers feature celebrities reimagined as dogs, and cocktail napkins that say pithy things like “I’m having people over to stare at their phones later if you want to come by.” And if it’s interior design you crave, head to Vanillawood, a shop with décor and gifts. 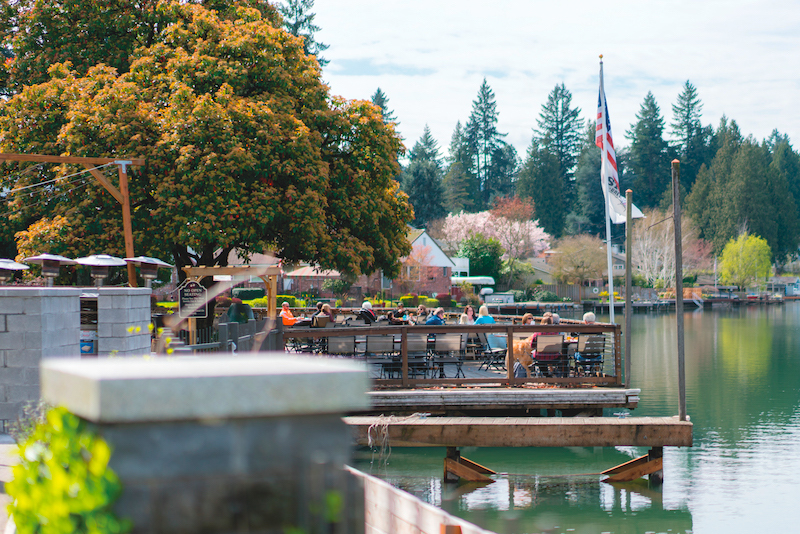 There’s more to Lake Oswego than shopping, of course. 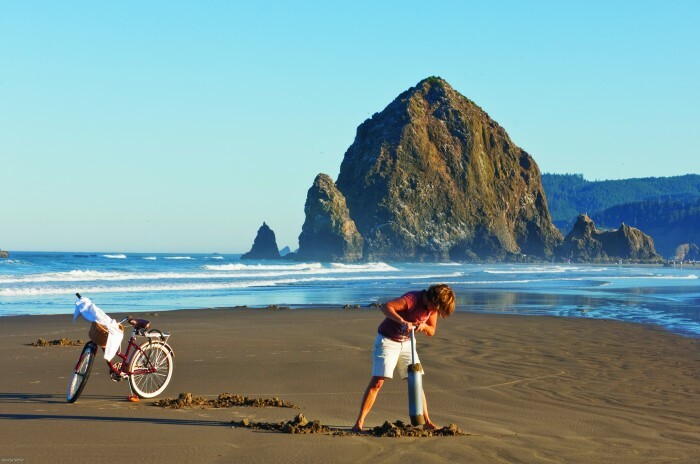 Especially in the summer, the city has a ton of options for getting outside. 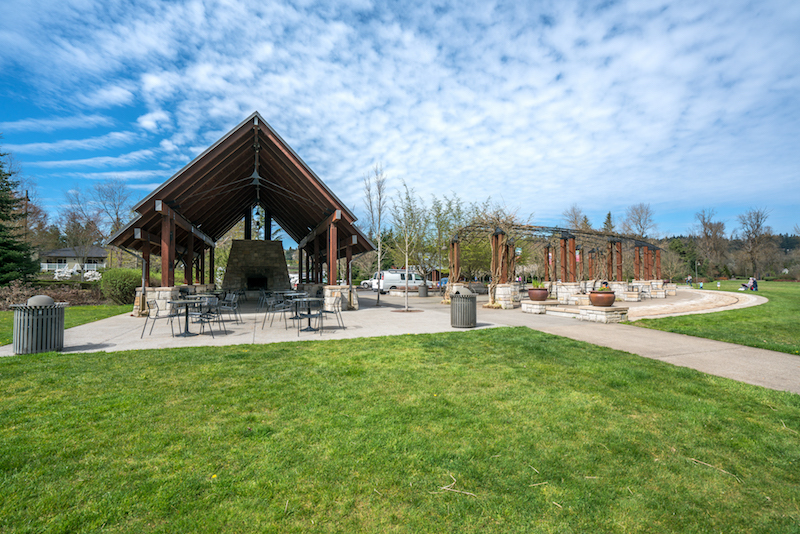 The Lake Oswego Farmers’ Market begins in mid-May on Saturdays and is one of the best in the Portland metro area, with more than eighty vendors, live music and a kids area. On summer Thursdays, head to Millennium Plaza Park, where the city hosts an outdoor movie night. Most notably, each year the city hosts the Lake Oswego Festival of the Arts. This year, it will take place June 22-24. The festival will celebrate its 55th birthday this year with exhibits and other events at the Lakewood Center for the Arts, as well as in George Rogers Park. is year, the special exhibit will focus on 3D printing. Other events include Art in the Park, with dozens of booths filled with art from makers from around the Paci c Northwest, a popular happy hour, and hands-on activities and demonstrations. More than 25,000 visitors ock to Lake Oswego each year for the festival. When it’s time to refuel, leave the downtown area and beeline for Gubanc’s, which has been a favorite in my family for years. The restaurant and pub, which makes a killer reuben, has been around since the 1970s. If it’s Italian food you seek, try Nicoletta’s Table. The homemade pasta and lasagna are divine, and that’s before you even think about the tiramisu and sorbet. Or go full dinner and a movie all in one place with the Lake eater & Cafe. The theater shows first-run films and offers a full menu of surprisingly upscale housemade food that changes seasonally—think butternut sage pizza, cracklins mac’n’cheese and baked Brie. 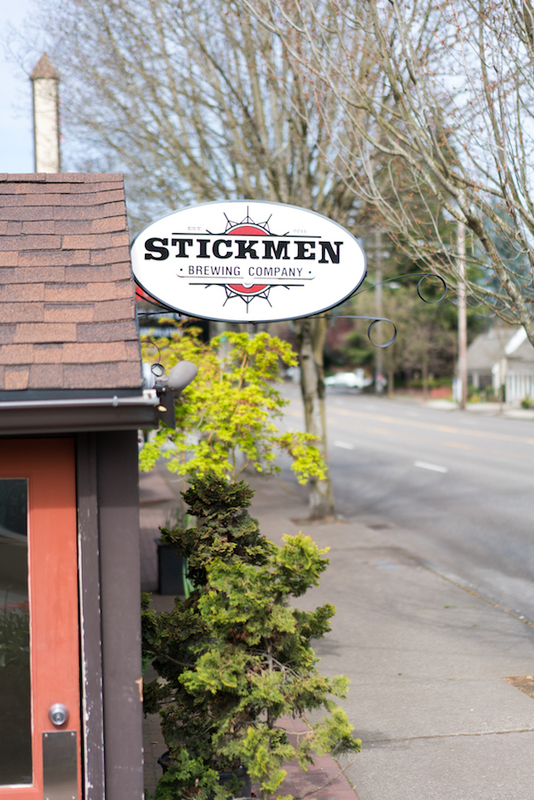 If you like to test out a local brewery in every Oregon town, Stickmen Brewing’s Lake Oswego pub is a good spot to try out one of their many brews. The brewery also has a beer hall in Tualatin, should you be passing through. 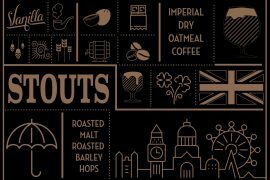 Beer not up your alley? Try Lake Oswego’s World Class Wines, which is open until 8 p.m. and, on Fridays, hosts a tasting event until 10 p.m. It’s a perfect spot for a night cap and a look at what’s new in the wine world. It’s important to have a good breakfast base when exploring, and Babica Hen is the best breakfast in town. The sheer number of waffle types will have your head spinning at the possibilities. 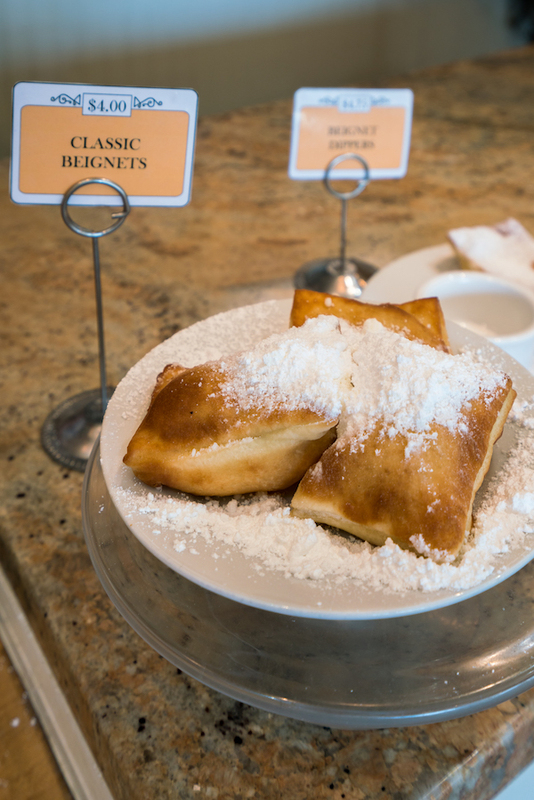 Should you prefer less of a sit-down event, grab some beignets from NOLA Doughnuts (pro tip from a Lake Oswego lifer: get there early as beignets tend to sell out). A perfect way to start your day outdoors, rain or shine, is with a brisk hike in Tryon Creek State Natural Area. 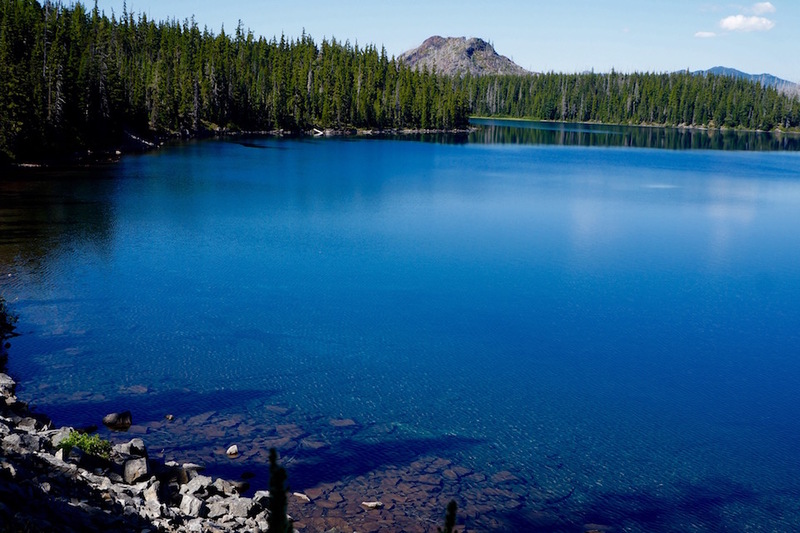 e more than 650- acre park is filled with classic Portland green space—there is a nature center to learn more about the ora and fauna you’re seeing, as well as 8 miles of hiking trails and horse and bicycle trails. Stop at Zupan’s, a local grocery store, for picnic makings, but be warned—the store is so inviting you might not want to leave. 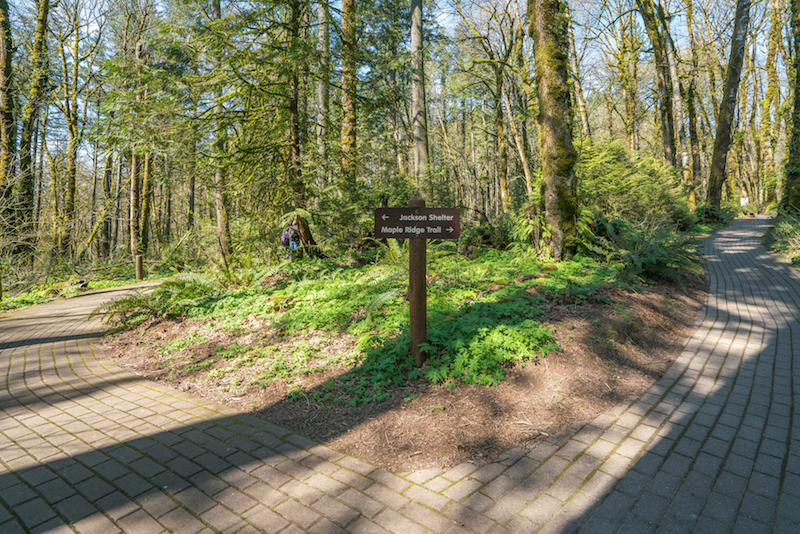 If you’d prefer to stay closer to home, the city of Lake Oswego has developed trails in its area parks and identified loops of varying distances throughout neighborhood and wooded areas. A useful trail map is available at the city’s parks and recreation office. Or use your time to get some more art cred. Lake Oswego has one of the best public art programs in the state (and maybe beyond). The city has nearly seventy works of art on display throughout town, including thirty pieces that are on loan and rotate out every two years. e Arts Council also hosts ten exhibitions each year, so there’s always something going on. The city offers docent tours of the art on display, or you can explore on your own with the Arts Council’s app, called L.O. Art Tour. When you’ve worn yourself out, hit up Tucci’s happy hour—from 4:30 to 6 p.m., feast on plates of meatballs and risotto fritters and $7 wines. 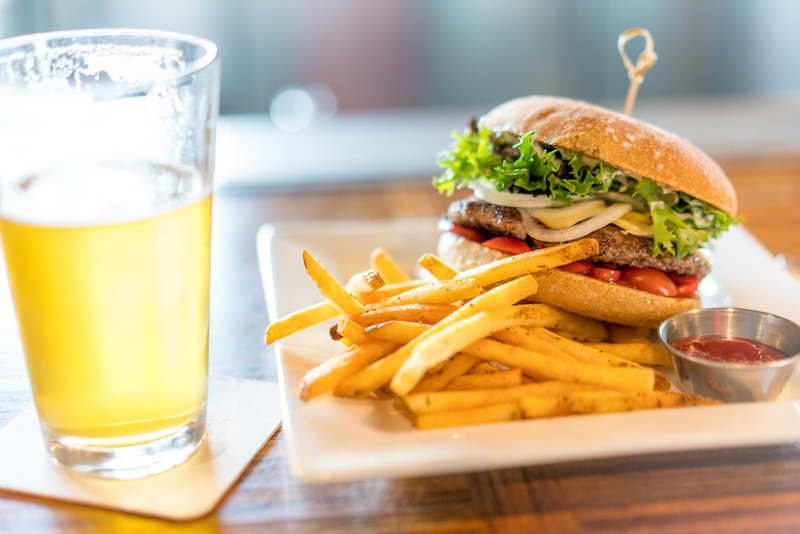 Go all in on the cocktails with a visit to the patio at Maher’s Irish Pub, or finish out the day with a high- flavor, low-key meal at Baird’s on B or Tavern on Kruse. Tavern on Kruse has an extensive wine list and Baird’s on B is the local favorite. 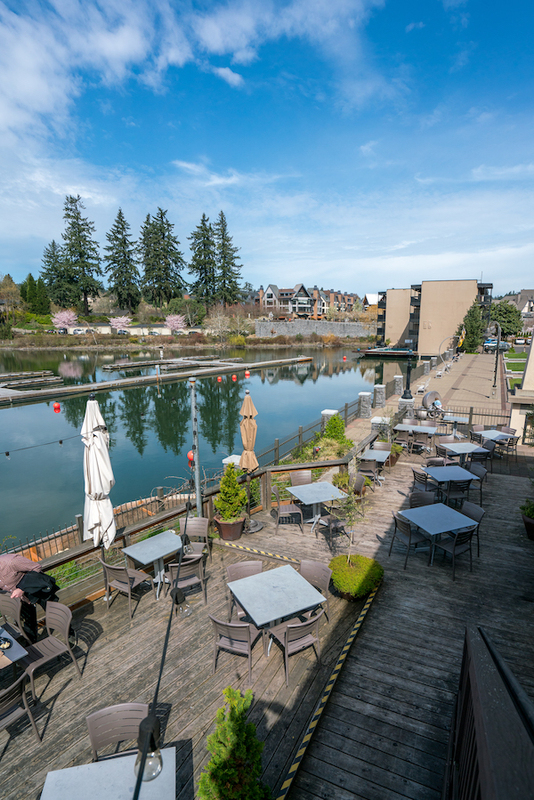 Both have exceptional food and great atmospheres, and will leave you feeling like you need to come back to Lake Oswego soon.